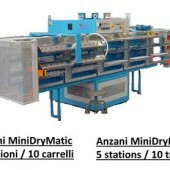 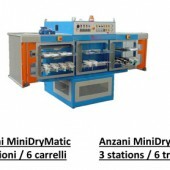 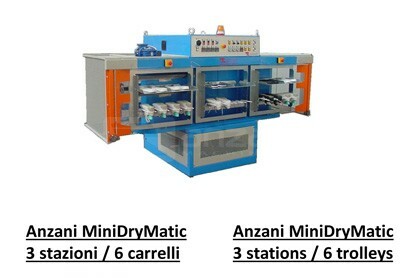 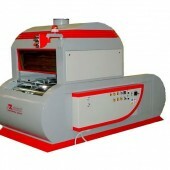 MINI DRY MATIC NIR is an automatic rotary modular machine, which carries out, for shoes, boots and relative soles, the functions of fast drying and fast reactivation of glue,both solvent and water based. 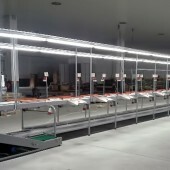 The treatment is done by the use of a vacuum system, with high efficiency Nir infrared lamps. 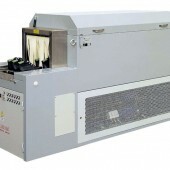 In case of water based glue, is available a prechamber for preventilation and it's also available, a system for heat keeping, that works outside the treatment chamber, allowing to keep the perfect temperature of the glue, during the attachment of the sole to the shoe. 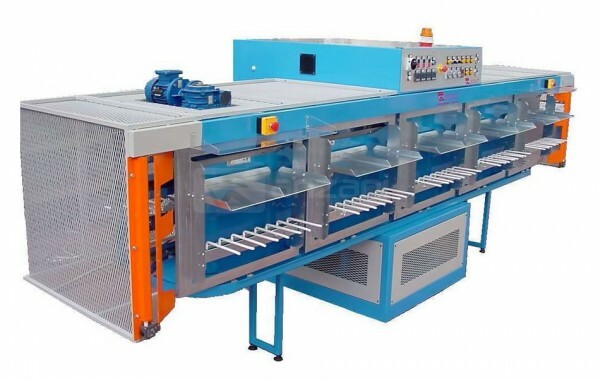 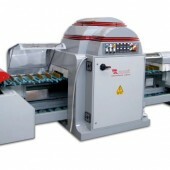 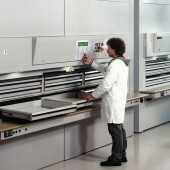 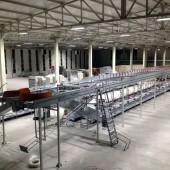 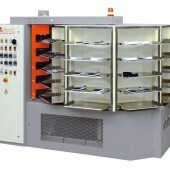 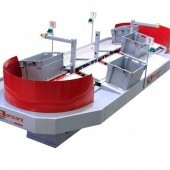 This machine can be configured from 6 to 10 trolleys. 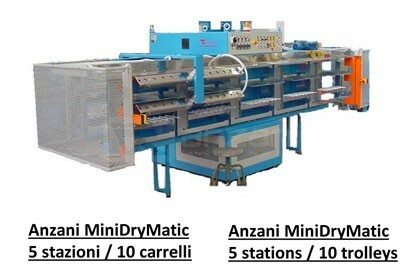 Mini Dry Matic NIR differs from Dry Matic NIR for the smaller size and for the smaller quantity of production.